Motivation is a massive factor to your productivity, but you can’t stay motivated without inspiration. Hell, success comes from surrounding yourself with people who are better than you, so why not learn from the top of the heap? 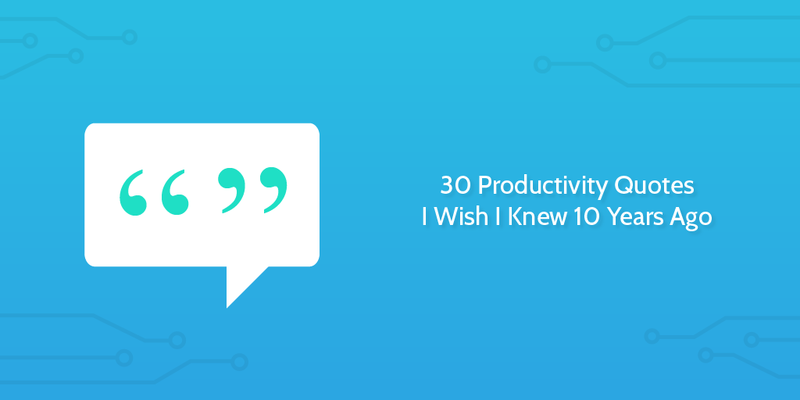 To help, we at Process Street have put together 30 productivity quotes from the best of the best. After all, whilst I’ve talked before about how to stop procrastinating and improve productivity, gifs are more memorable than words. Click here to Tweet this quote. Aside from developing the foundation for modern physics, Einstein understood that in order to make the biggest breakthroughs, you have to make mistakes. Through mistakes, you learn. Through failure, you explore. Bruce Lee created a philosophy and system of martial arts based around removing the unessential. This includes thought where there should be action – if you let your mind stagnate, it’s far more difficult to start again. Richard Branson is a notoriously happy man, and it’s that positivity which keeps him moving forward. The greater your enthusiasm, the better your results will be. With more than his fair share of achievements as president, Barack Obama is a firm believer in sticking to what you believe in. Sometimes the best way to get through a roadblock is to just keep going. Going from being fired for a lack of creativity and an early bankruptcy to the family name we know and love, it’s hard to argue with Walt’s productivity. At the heart of his success was the knowledge that nothing gets done until you start doing, rather than talking. Sometimes the best motivation can be the harsh truth, and the ex-CEO of Apple is a perfect example of this. Instead of sitting around and procrastinating, take the first step and get going. You have nothing to lose. Aside from being one of the richest men in the world, Bill Gates is refreshingly wary of success. Everyone makes mistakes and has the odd failure; the key to not letting it derail your progress is to stay realistic with the risks you take. No matter how much you account for failure, sometimes you’ll still slip, and that’s okay. If you’re continually working towards your goals, you’ll always be improving, which in itself is a huge achievement. The music industry is cutthroat, but Frank Sinatra maintained that luck was only a minor factor to his success. To be successful, you have to grasp the opportunities you can, and then put your all into it. Yes, it’s tempting to watch Tom Waits showing Rod Stewart how to sing, but that’s exactly what you shouldn’t do. The sooner you get started, the sooner you’ll finish. If you sit down to work, you can’t allow anything to distract you. If you set yourself a goal, you can’t achieve it by saying “yes” to everything else. Set your own agenda, and if you don’t have the time, say “no”. One of the smartest people alive, Steven Hawking is no stranger to difficult problems. Despite his “Theory of Everything” proving elusive, he notes that getting angry about it doesn’t solve anything. Instead, to solve a problem, you need to give your mind space by working on something else. Muhammad Ali spent his life backing up his claim to be “The Greatest” by making every day count. Don’t think “I’ve got this many days to achieve this”, but instead “How much can I do in each of these days”. If you hadn’t already gathered by this point, here’s another highly prolific success story telling you to get started already! 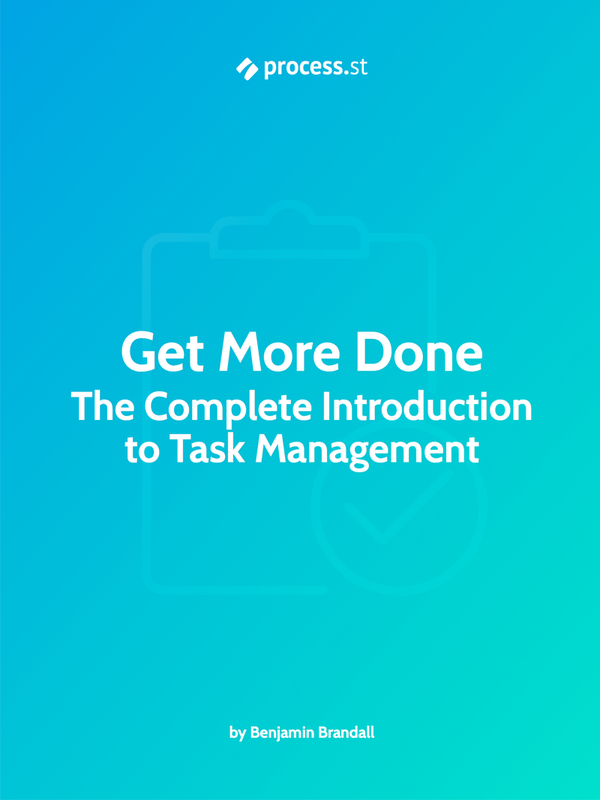 Although we’ve already talked about Tracy’s prioritization method, the point with this quote is to focus on dealing with your biggest or ugliest task first. Do that, and everything else will feel like smooth sailing. Whilst this snippet of a performance art piece has been taken out of context and used in countless parodies, the message it conveys is no less valid. Stop procrastinating, and just do it (don’t let your dreams be dreams!). First, don’t work yourself stupid – by taking breaks you avoid the extremes and make your efforts more fruitful. Second, don’t dwell on injuries (physical or psychological) – it does no good and only prevents you from getting back on track. Ihe forefather of Western thought is telling you to stop multi-tasking. Don’t do it. Waking up early is a common factor to a successful daily routine, so think of this quote when the snooze button is looking tempting. From the author of The 4-Hour Workweek, here’s another great reminder that getting started is the most important step. Starting a project means you’ve invested time and are more likely to continue, so get going sooner rather than later. A master of language and firm believer in getting straight to the point, Hemingway notes that just because you’re doing something doesn’t mean that it’s worthwhile. Don’t trick yourself into spending time on pointless tasks – work on exactly what you need to. Sometimes your efforts are best spent on getting rid of everything you don’t need (or don’t need to do), rather than ploughing onwards. Learn to realize when to eliminate the unnecessary and you’ll not only be productive, but an artist (in a way) to boot. If you wait for opportunities to come to you, or for things to sort themselves out, you’ll only be wasting time before you need to take action. Again, getting started is the first step to completion. Even legends like Ogilvy couldn’t work on a single project and expect to have fantastic ideas. Creativity comes at random, not at will. The best way to encourage creativity is to fill your head with information, then take a break. Your subconscious is a master at recalling the good stuff. This is more for organization managers and employers; you can’t expect your workforce to go at full throttle if they aren’t engaged with their work. Make sure that your employees know how to use your product and truly believe in its value. Whether you do this with a solid onboarding process or by thoroughly vetting candidates in your interviews, you’ll reap the benefits through increased productivity across the board. One of Google’s co-founders just told you that failure is necessary to success; do you believe it yet? If you let the fear of failure stop you from trying, then you’ve already lost. If you don’t let fear of failure stop you from starting, the next hurdle is to not let it affect your performance. Focus on your success and how to reach it, rather than fall because you were looking down the whole time. Better productivity doesn’t come from working more or killing yourself trying. Productivity is efficiency. Don’t work longer hours, instead make the hours worth more – focus your efforts to get more done in the same period. To round us off we have another of America’s founding fathers stressing the importance of action. Words are all well and good, but it’s what you do that has meaning. Put those productivity quotes into practice! You have the gifs and productivity quotes to power your success, so now it’s time to put those lessons into practice. Are there any that I missed? I’d love to hear your suggestions in the comments below! Thanks for that one Jaime! Aye, it’s vital to have a set goal in mind, otherwise you’ll never know when you’ve succeeded, and you’ll be caught in a spiral without feeling like you’re achieving anything. I never realized how gender-divided the motivational market was until I started looking for motivational images to share with my team members and workers, ~80% are women. There are messages that appeal to men, messages that appeal to women, but few creators that seem intentional about appealing to both genders. It seems to be the unspoken assumption that it is just one or another, not both. My favorite example of an audience niche is a Youtube video for motivational speeches by women 5 foot 3 or shorter. My email said, hey, this seems oddly specific, but thought you might like it. Response was positive. Great point David – in my search for well-known and successful names, I don’t believe I ever stopped to think about the lack of women in this list. I agree with David, and I’ll make it direct. I’m pretty shocked that 0 of your 30 productivity quotes are from women. Especially since you’re in tech: please do better. Sorry, it honestly never occurred to me as to the weight of the quote’s sources. The greater focus behind the quotes was intended to be their message and really driving the points of how to boost productivity home, rather than purely who they are from. I’ve listed a couple of strong female examples in reply to David, but apologies again for any unintended offence caused. We love productivity apps too; in fact, we’ve recently collected a list of the best productivity apps – I’d love to hear what you think to it! Ben — the fact that this didn’t occur to you at all until commenters pointed it out is actually the problem. The fact that representation doesn’t occur to you is a problem. The fact that you don’t think “who they are from” matters very much (yet don’t have any women) is a problem. What percent of Process Street team is women? Or does it not really matter, and also it’s 100% men? Why have you not improved the article to include the quotes from women that you found for David to be in the actual article with their own gifs? Do better.